As a researcher I am a glaciologist whose interests include the influences of hydrology on glacier dynamics and controls on ice sheet mass balance and volume change. I have investigated these using field based measurements and the development of glacial process models. I have over twenty years of research experience in the Swiss Alps, the Canadian High Arctic and on the Greenland Ice Sheet. This research has been supported by grants from Natural Environment Research Council (NERC), The Leverhulme Trust, The Carnegie Trust and the Scottish Alliance for Geosciences, Environment and Society (SAGES). I undertook my PhD based at the Department of Geography, University of Cambridge investigating the influence of subglacial hydrology on the dynamics of a temperate valley glacier, the Haut Glacier d’Arolla, gaining my PhD in 1997. From 1997-1999 I continued studying glacier ice dynamics and basal processes as a NERC PDRA to obtain a better understanding of the basal and internal processes which influence glacier motion over seasonal and annual periods, but particularly during early melt season "spring events", i.e. short-term periods of hydrologically-induced, glacier-wide high surface velocities. From 2000-2002 I held a Leverhulme Trust Fellowship based at the Department of Earth and Atmospheric Sciences, University of Alberta, Canada during which time I was a collaborator on the CRYSYS funded project "Dynamics and Area/Volume Change of Canadian Arctic Ice Caps". From 2002-2006 I was Lecturer in Physical Geography at the University of Aberdeen and institutional PI of a NERC Consortium Grant to validate satellite (CryoSat) based measurements of surface elevation change across the Greenland Ice Sheet. 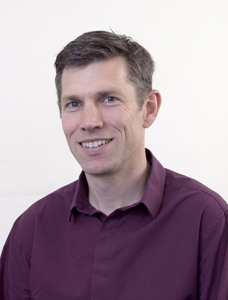 From 2006-2015 I was Senior Lecturer in Physical Geography at the University of Aberdeen, being Head of the Department of Geography and Environment from 2011-2014. From 2008-2012 I was institutional PI of an ambitious project to understand the links between hydrology and dynamics of the Greenland Ice Sheet, collaborating with colleagues from the University of Edinburgh. Since January 2016 I have been Professor of Glaciology and Head of School of Environmental Sciences at the University of Liverpool where I am actively involved in strengthening glacial research within the Environmental Change Research Group and developing research links with colleagues across the School. I currently lead a Leverhulme Trust Research Project Grant with an interdisciplinary team of glaciologists, palaeoecologists and marine palaeobiologists from the Universities of Liverpool, Aberdeen and Glasgow, to determine long-term (centennial to millennial) changes in tidewater glacier calving rates.